This research project seeks to expand our understanding of the attitudes and behavior of the Tbilisi population towards urban transport, to allow more realistic and effective public policy toward urban transport management. The project includes a questionnaire survey of 322 residents, which investigated the attitudes and behavior of residents regarding urban transport options in Tbilisi. 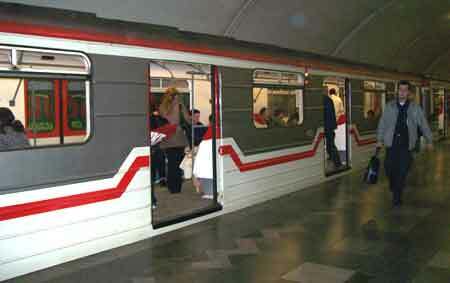 The study elaborates on the perceived strengths, weaknesses, and potentials of the public transport system. It seeks to understand the reasons for the increased use of private automobiles, and investigates the apparent perceived advantages of car use in relation to available public transport options. The survey focuses on both attitudes and behavior, in an effort to understand the root causes leading to the choice of urban transport modes. The impact on transport mode choice of personal awareness of transport-related social, economic and environmental problems is also investigated. The overall goal is to better understand the attitudinal and behavioral obstacles to the implementation of a sustainable, integrated urban transport system in Tbilisi, and how those obstacles might be overcome. The report can be downloaded here (PDF, 149K). A public presentation entitled “Towards more effective urban transport policy: Understanding the travel behavior of Tbilisi residents” was made by CGF Program Manager Inga Grdzelishvili on 11 April 2008, in the Tbilisi office of the Caucasus Research Resource Centers. A copy of the presentation can be downloaded here (PDF, 428K). This project seeks to increase public knowledge and awareness of lead pollution in Georgia, to encourage action to reduce lead pollution emission and exposure. An informational booklet has been prepared and printed describing the sources of lead pollution in Georgia and it’s influence on human health, especially on children. It illuminates the status of transport-related lead pollution as a major environmental health hazard in Georgia, and points out potential avenues for improving the situation. The booklet is being disseminated among the Georgian public, media, and policymakers. A copy of the booklet can be downloaded here (PDF, 555K). A public presentation on “Lead Pollution and Human Health: Problems and Solutions” was made by CGF Program Manager Inga Grdzelishvili on 8 February 2008, in the offices of the Public Defender in Tbilisi. The presentation was attended by representatives of the Ministry of Environment and Natural Resources, Ministry of Health, the Georgian Technical University, scientific research institutes, and various governmental and non-governmental institutions. A copy of the presentation can be downloaded here (PDF, 534K). Sustainable development of the built environment requires the production of substantial quantities of materials and energy services, produced within the constraints of natural systems. This project synthesizes recent state-of-the-art findings on the sustainable use of renewable forest resources within integrated material and energy systems, and applies these findings in the Georgian context. Co-production of multiple wood-based products from available forest biomass is considered as an option for increasing the efficiency of raw material use. Opportunities for recovery of biomass by-products for use as biofuel are developed along the entire wood product chain, including forestry, wood processing, construction and demolition. Forest management intensity provides a leveraging effect, with management energy inputs more-than-balanced by energy returns from enhanced solar enegy capture. Long-term sustainability requires the closure of nutrient cycles, including the recycling of wood ash to forest ecosystems. 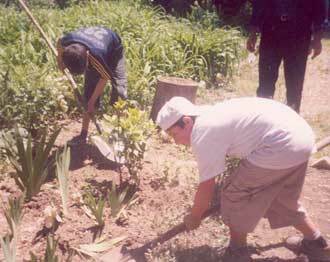 This project develops recommendations for efficiently using Georgia’s natural resources in a sustainable manner to adequately fulfill multiple societal needs. 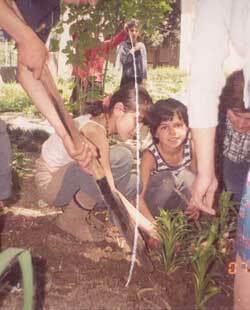 Project: Environmental education at the Digomi Orphan House: "We Love Trees"
The children of the Digomi Orphan House in Tbilisi, together with staff of Cooperation for a Green Future and the administration of the Digomi Orphan House, planted trees and flowers in the garden of the orphanage. 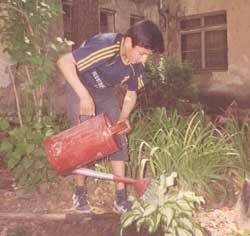 The project succeeded in increasing environmental awareness and developing a love for nature among the children. The Program Manager of Cooperation for a Green Future, Ms. Inga Grdzelishvili, was a key speaker at the NATO Advanced Research Workshop on Strategies to Enhance Environmental Security in Transition Countries that took place in Sibiu, Romania from 6 to 9 September 2006. The workshop brought together leading environmental scientists from Canada, USA, Ukraine, Israel, Poland, Czech Republic, Belarus, Germany, Armenia, Russia, Italy, Moldova, Romania and Georgia to evaluate tools to assist transition countries in addressing environmental security and sustainability challenges. Ms. Grdzelishvili gave a presentation entitled "Industrial Ecology in Transition Countries: Historical Precedent and Future Prospects". Industrial ecology is an innovative approach to organizing industrial activities that uses the structure and processes of natural ecosystems as a model. Industrial ecology seeks to integrate wastes and byproducts into the production process thus reducing the need for material extraction and waste disposal. In her presentation, Ms. Grdzelishvili outlined the theory and practice of industrial ecology as developed in the former centrally planned economies, and discussed issues specific to the (re)implementation of industrial ecology in transition countries. A copy of the paper “Industrial Ecology in Transition Countries: Historical Precedent and Future Prospects” can be downloaded here (PDF, 91K). 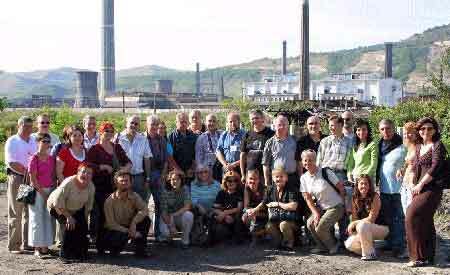 Photo: Participants of the NATO Advanced Research Workshop on “Strategies to Enhance Environmental Security in Transition Countries” on a study excursion to the Copsa Mica metal smelter in Romania.